It gives a description that you can choose to have unlimited storage and pay $0.99 each month, but doesn't say that it's only 10 items before it wants to charge you this. 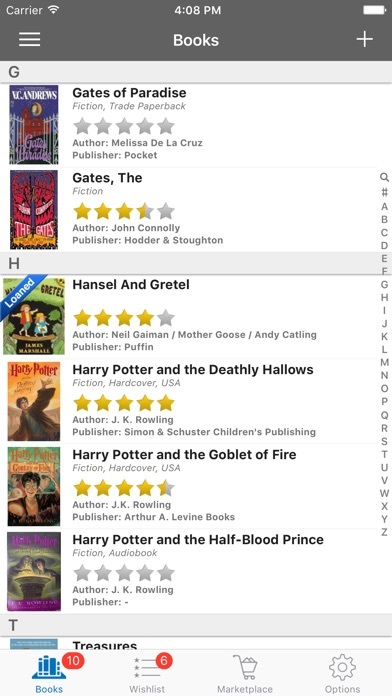 We bought this app to install on our staff cell phones as a way to track what books are in our small school (under 100 kids). 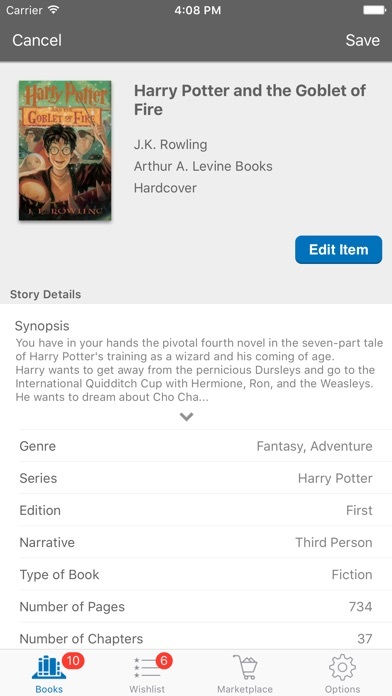 I really like that we can scan them in quickly, can look at the covers when browsing, and that we can say in which they are stored via the storage option. Well worth $12 a year to finally have our collection managed. After ten books they expect you to pay .99 a month. 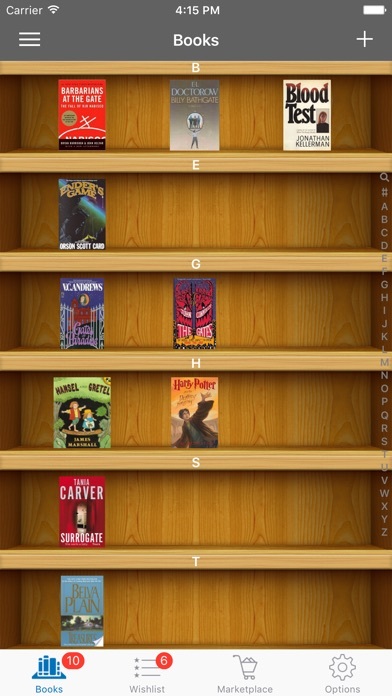 Not worth it when I can buy another app for .99 flat rate that does the same thing except it doesn't have the bookshelf. Why don't they tell you that you can only scan in 20 books? It says "Scan in all your books.". Don't most people have more than 20 books? I agree with clemence.r. The scanner was awful. Didn't know if it was scanning or not. Although, the box helped. I'm thinking, "is it going to scan or what?" And it never does. I'd rather scan than type. That's why I wanted to try it. Also, it kept shutting down. I tried wishlist, search and sync and it shut down all the time. Sorry but I'm deleting it after I put in a review. I would love to give this app a higher rating - but only able to scan 20 items - I'll find something else to use. 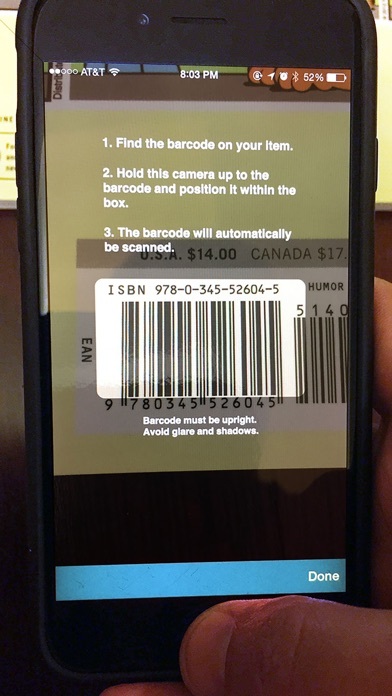 When I was scanning, there was no indication that the barcode was being processed, so you never know if it's working or if you should continue standing there like an idiot with the phone above the book. Also, every time I opened the app, it shut down on me. When I added a book, it shut down before adding it. The differences between this and the Pro version are not clear but based upon a quick look, apparently there is a quanitity limitation on the free app. 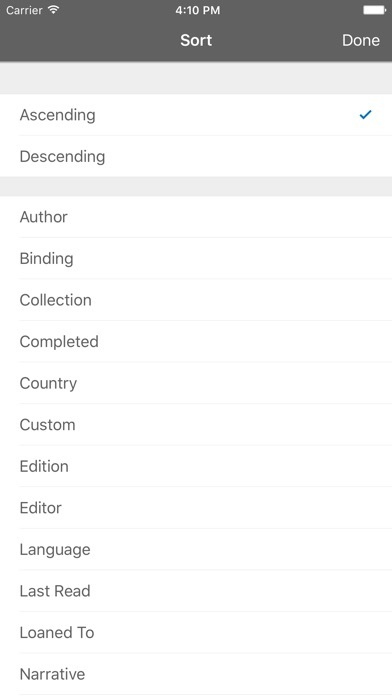 The function to make backups of your input (separate from the iPhone sync/backup) is also not available. Definitely a try before buy free app and not a full featured offering.